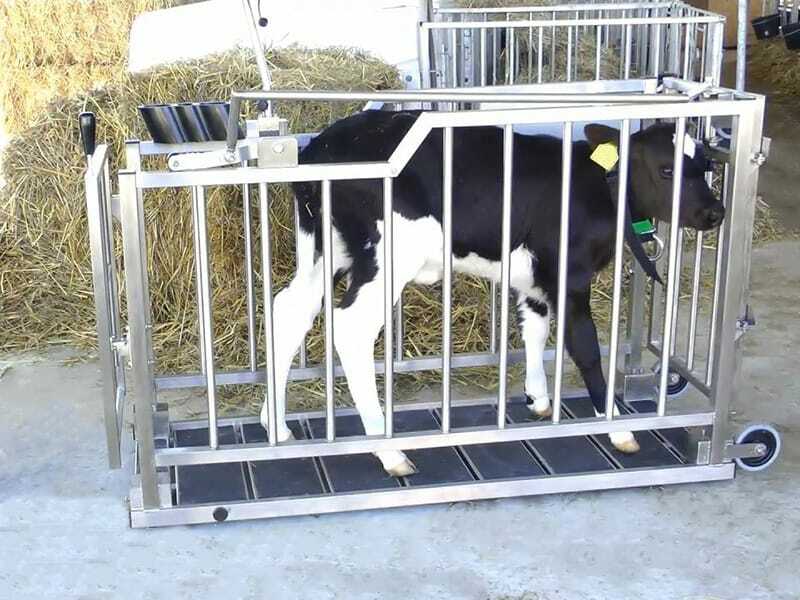 Maintain an overview of your calves’ weight development: The mobile “1-2-3 animal scale” from Bosche GmbH & Co. KG is easy to use and can be comfortably slid toward the calves. The animal scale is equipped with multi-reader animal identification from Förster-Technik and automatically identifies each calf when they step on the scale – For quick and easy weighing of your animals! 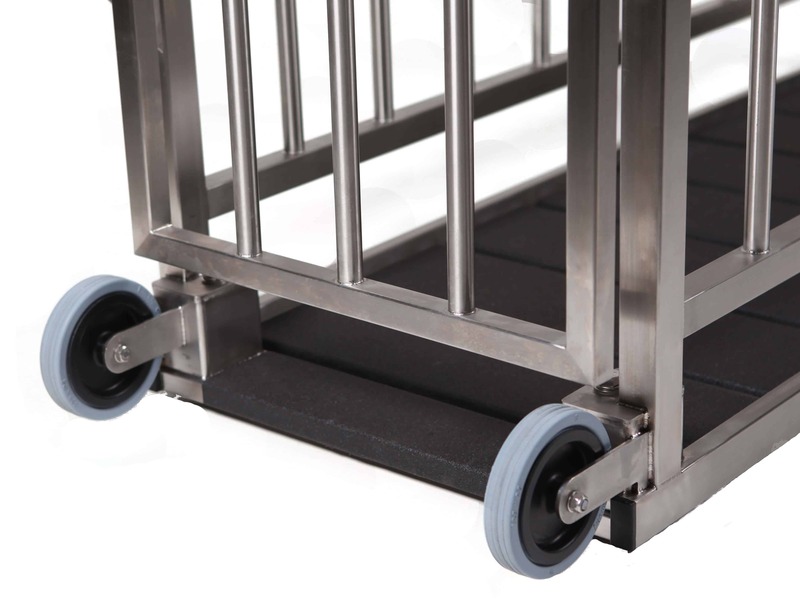 The animal scale is both durable and light at the same time, and thanks to large wheels can be easily transported, then slid into the desired position. 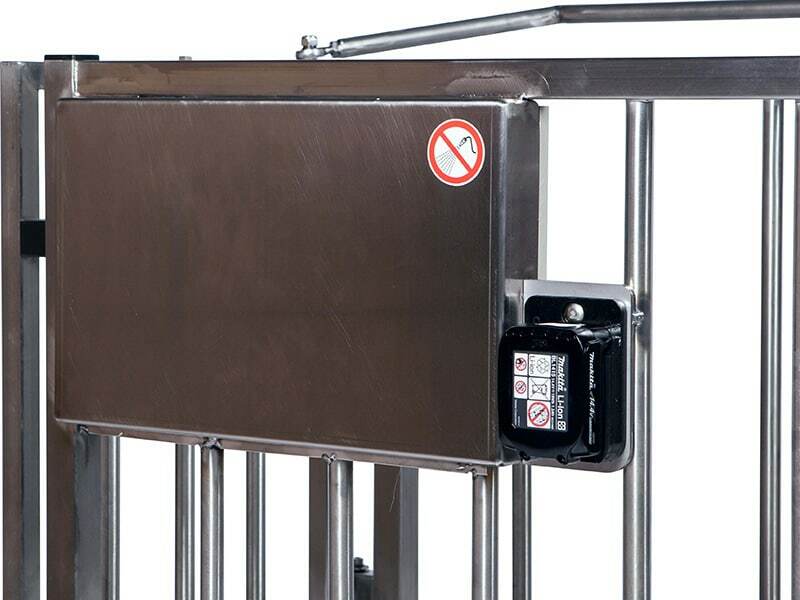 The low entry height and no-slip floor make it easier for the calves to enter the scale, while the two doors of the mobile animal scale can be conveniently opened and closed from one position. The integrated battery ensures a reliable power supply; the cables are shielded and run through the frame of the scale. Put down your pen and paper: The mobile animal scale automatically registers each calf via a neckband transponder or electronic ear tag and associates the measured weight with the appropriate calf. The illuminated, pivoting display rapidly and reliably shows the weight of the calf and offers the option to save the data to a USB stick. This way you can easily transfer the weights of your calves to your PC and evaluate this data in Excel. Do you work with the KalbManagerWIN management program? Just a few clicks is all that’s needed to load the calves’ weight into KalbManagerWIN and onto your automatic feeders. 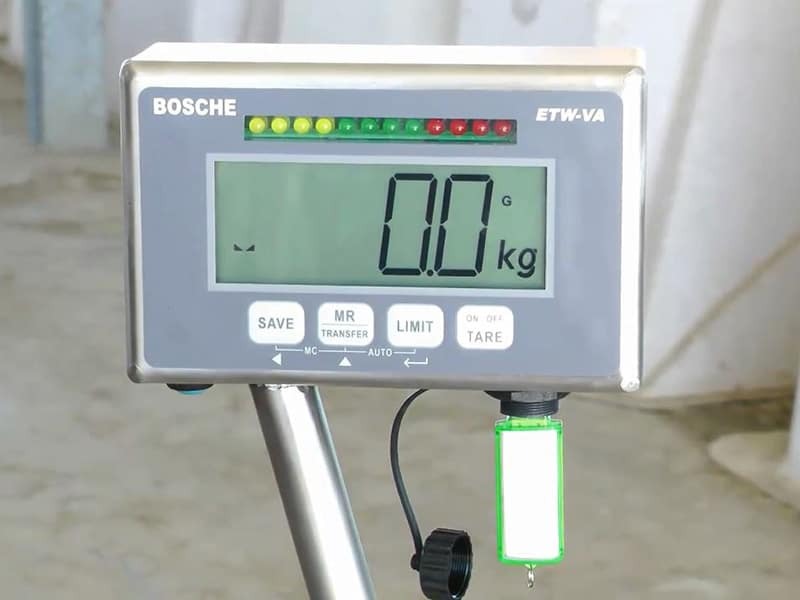 More information about the mobile “1-2-3 animal scale” is available in the online shop of Bosche GmbH & Co. KG. 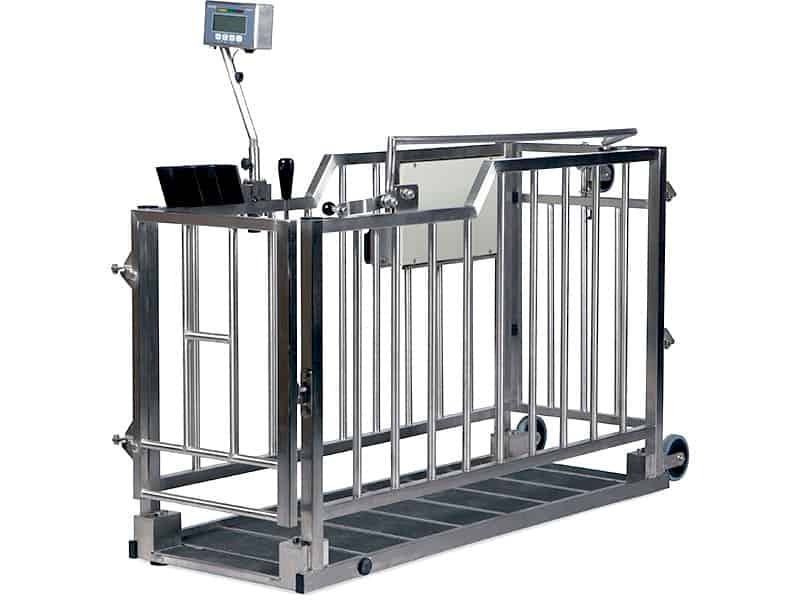 The mobile animal scale for calves. The MultiReader registers each calf.